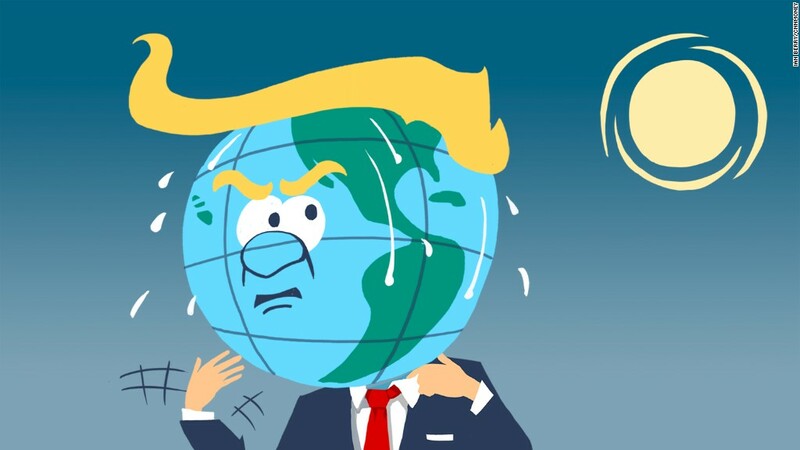 ExxonMobil doesn't want President Trump to abandon the global climate agreement reached in Paris. America's biggest oil company told the White House it believes the Paris agreement is an "effective framework for addressing the risks of climate change" and the U.S. should remain a party to it. Exxon (XOM) said the country is "well positioned to compete" under the terms of the Paris deal, which was reached in late 2015 with the goal of slowing global warming. President Obama hailed the agreement as "the moment that we finally decided to save our planet." The Exxon letter was sent to the White House on March 22, just days before Trump took a massive swipe at environmental regulations implemented under Obama. The administration had asked Exxon for its views on the Paris accord. Trump signed an executive order on Tuesday to undo the Clean Power Plan, which aimed to slash carbon emissions by coal plans and other power utilities. Before taking office, Trump called climate change a "hoax" and blasted the Paris COP21 agreement as a "bad deal" for the U.S. However, after winning the election Trump told The New York Times he has an "open mind" about the Paris agreement and said he believes clean air and "crystal clear water" are important. Even though Trump is a climate change skeptic, his secretary of state and leading emissary on climate issues, does not appear to be one. During his confirmation hearing in January, Tillerson said he came to the conclusion years ago that "the risk of climate change does exist and the consequences could be serious enough that action should be taken." But Tillerson ducked allegations that Exxon misled the public on climate change. He refused to answer repeated questions during the hearing about whether the company ignored internal research going back to the 1970s on the impact of burning fossil fuels. Earlier this month it emerged that Tillerson allegedly used the pseudonym "Wayne Tracker" to send emails related to climate change while serving as CEO of Exxon.